If one of the first aim of Scrum was to break the silos between business analysis, development and testing, you can consider that improving the cooperation with the operation side of IT as the next frontier in this journey. What is the point to produce potentially shippable software increment in two weeks if your database administrator doesn’t want more than three new releases windows for the production database? 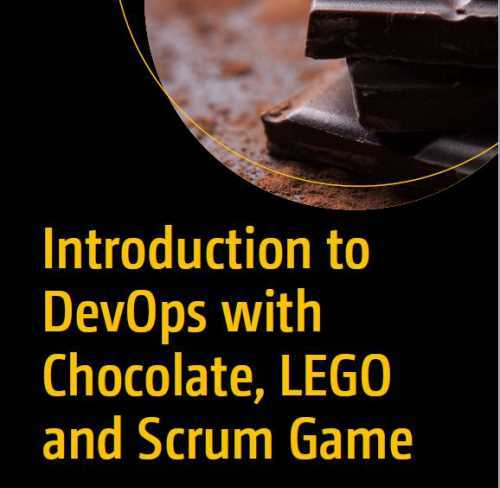 In her book “Introduction to DevOps with Chocolate, LEGO and Scrum Game”, Dana Pylayeva proposes a simple game that will help development and operation people work together on iterative planning. Based on workshops performed in many Agile conferences, this book provides a detailed step-by-step description of the game for various room configurations, group sizes and session duration. The material provided is complete and the book is well-structured and easy to read. I will recommend this book to any software development manager or coach that is interested in introducing DevOps in his organization. The material and the structure provided in this book are also valuable to everyone interested in the “gamification” aspect of learning and training in a software development context. * understand how widening individual skills within a Development Team to span both coding and testing, plus working together with Operations and Security members can have a positive impact on organization’s ability to eliminate the delivery constraints and pursue the improvement of the overall process.